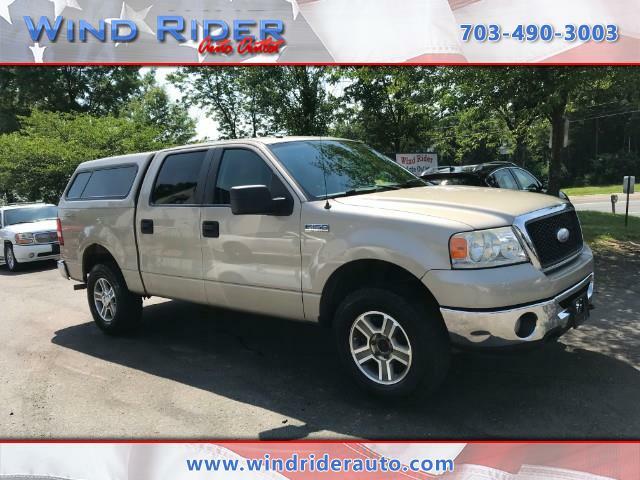 2007 FORD F150 XLT SUPERCREW 4WD!! *RECENTLY PASSED VIRGINIA SAFETY INSPECTION* *CARFAX CERTIFIED: NO ACCIDENTS REPORTED* 23 SERVICE RECORDS ON THE FREE HISTORY REPORT. TIRES HAVE PLENTY OF TREAD. RUNS WELL. A/C BLOWS COLD. GOOD CHOICE FOR A WORK TRUCK. DON'T MISS OUT ON THIS GREAT OFFER! CALL US TODAY!